Do you know what is the one thing that most webmasters and bloggers struggle with? If you have a good ranking on Google, that will get you a tonne of organic search traffic. SEO (Search Engine Optimization) is the ultimate way to bring your website to a top position in the organic search results. It can be majorly classified into On Page SEO and Off Page SEO. In this blog post, we will see some of the most essential On Page SEO tactics that will help you rank better than your competitors. If you really don’t know what on-page SEO is, it is any SEO activity that we do ‘on the website’. It is basically optimizing the pages on your website for a better search presence. In reality, you may not see any sudden boost in rankings right after you optimize all your pages, but eventually, you will. And here is the truth. SEO is never an overnight success story. But make sure you do all of these essential On Page SEO tactics that I have mentioned here on your WordPress site. I can guarantee you results in the long run. If you want the search engine bots to find every page on your website, a sitemap is a must. An XML sitemap contains all the important pages of a website and helps search engines to find the structure of these pages. Sites without proper internal linking may not be crawled properly by search engines. But the presence of a sitemap solves the issue. On a WordPress site, the Yoast SEO plugin is a great tool that helps with creating sitemaps. This plugin automatically adds an XML sitemap to your website. See the below steps to view your website’s XML sitemap on Yoast SEO plugin. A robots.txt (case sensitive) file instructs search engines on how to crawl pages on a website. It tells the search engine bots to crawl or not crawl certain parts of a website. Here is the basic format. User-agent indicates the name of the bot. Googlebot in the case of Google. Apart from allow or disallow, crawl delays can also be mentioned in a robots.txt file. The robots.txt file should be placed in a website’s top-level directory. If your website has a page that you do not want search engines to crawl, you can disallow it on the robots.txt file. This is common in case of thank you pages or dedicated landing pages where you often offer a free giveaway download. Adding robots.txt file is taken care by Yoast SEO plugin on a WordPress site. Here is where you can find them. 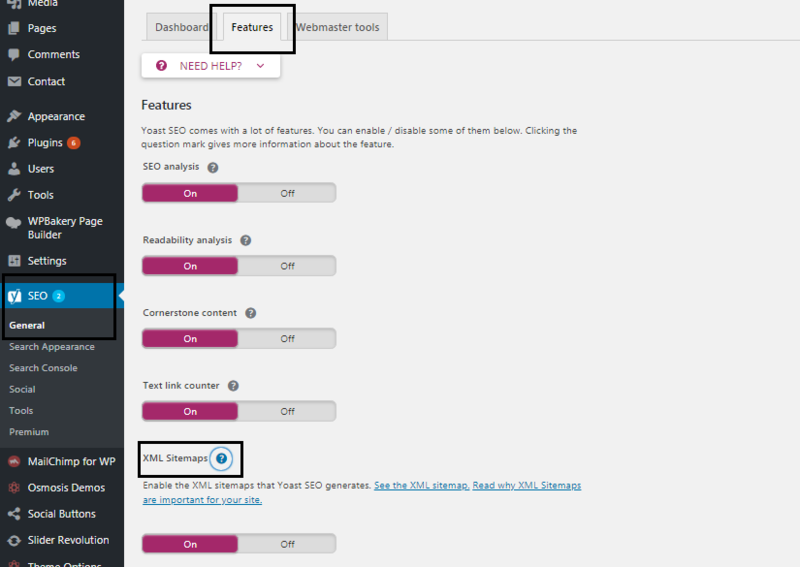 Go to Yoast SEO options on the left in your WordPress dashboard. Select file editor. File editor will show you a page where you can edit your robots.txt file. You can read more about robots.txt file here. Title tag is what you see on the top of every browser window. It normally should contain the title of the web page, and most importantly the main keyword. For example, if you want your page to rank for the keyword ‘Digital Marketing Agencies in Dubai’, it is essential that you have it in your title tag. 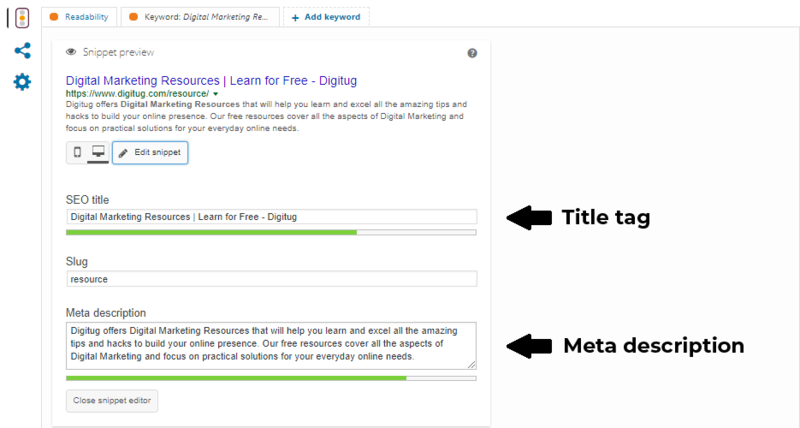 Again, on WordPress, you can optimize your title tag with the help of Yoast SEO plugin. It will tell you the presence of your keyword in the title tag, its optimal length and will also show you a preview of how it looks in the search results. 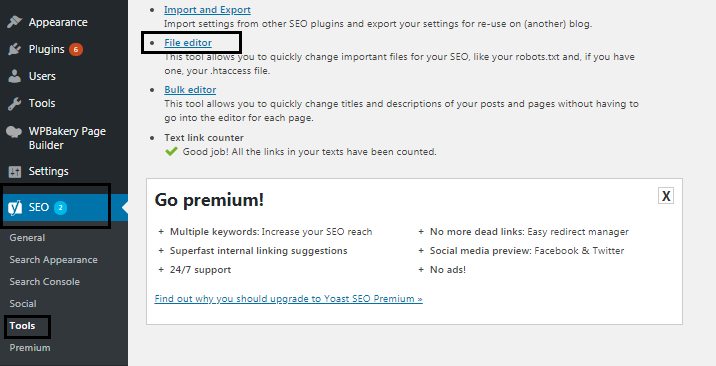 Here’s a picture of the Yoast SEO plugin interface. Meta description is what you see below the title of the page in the search results. Just like the title tag, it is essential that you have the main keyword in your meta description. Make your URLs simple and place your target keyword within. Avoid long URLs and the ones with dates. Check out the structure of this URL to an article on our website about Digital Marketing. It simply conveys what the article is about and also contains the main keyword within the URL. On WordPress, you can directly edit the slug for every page or post. Also, you can alter the structure of the URL in permalink settings (Go to settings in the dashboard and choose permalink). You don’t have to be a pro in HTML to do SEO. But some knowledge of HTML like the basic tags comes in handy. There are tags available from h1 to h6 where h1 being the most important. The best practice is to wrap the main heading in an h1 tag. Also, make sure there is only one h1 tag on a webpage. In a WordPress visual editor, you can readily choose your heading tags. You can opt for an h1 tag for the main heading and an h2 for the subheading and so on. For any image on your website, two things are a must. On a WordPress site, it is quite easy to set these up in the media library. 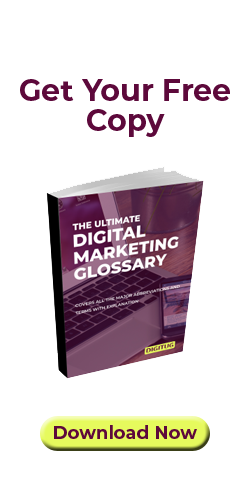 If you have an article that talks about Digital Marketing, you can give the title ‘Digital Marketing’ to the featured image (main image) on that page. It is always a good practice to use a hyphen (-) to separate words in an alt text. Alt Texts are meant for search engine bots. When a search engine bot crawls your website, it sees only the code. Giving alt texts for images will help these bots identify what an image is about. This will certainly keep your web pages better optimized for rankings. Google ranks pages that load fast. So it is important to check your website for its loading time and speed. Page Speed Insights from Google and GT Metrix are two very effective tools to find out how your website is performing in terms of loading time and speed. These two tools will assign your website a performance score based on your site’s particulars. And the best part is these tools will give you a set of recommendations on exactly what you can improve to maximize your page’s loading speed. The tools mentioned above will tell you if you have got images that are of a large size on your website. However, it is important to compress your images for better loading speed. You can use this tool called Optimizilla for compressing images without losing quality. You can also use Adobe Photoshop’s save for web option to reduce file size considerably. On WordPress, there are plugins available to compress images that are already present on your website. But I would suggest manually compressing images that are already on your site. Just find images that are of large size, compress them manually and upload again. Also, if you are uploading a new image, make sure it is of a minimum size. 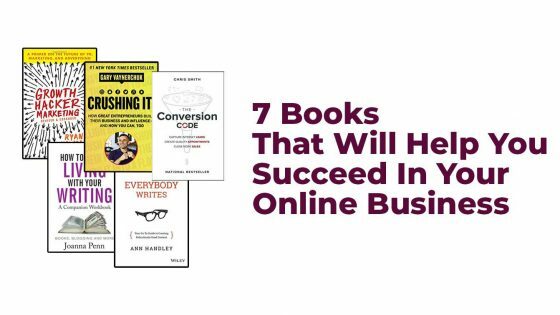 This is a major step to speed up your website. Why rely on browser caching? Because it reduces website loading time for repeat visitors. Normally whenever a user visits your website, the browser will have to download all the files of your website from the server. This might take longer if your website has large files such as images. Here’s where browser caching can help. It will store some of your website files on the browser (on a user’s first visit) and will be served to repeat visitors without loading them from the server. This considerably improves loading time. Read this article to learn how you can set up WP Super Cache on your WordPress site. But there are some instances where your hosting provider doesn’t support these plugins. If you are using GoDaddy managed WordPress hosting, it doesn’t allow you to use browser caching plugins. Instead, the hosting itself provides caching for your website (most managed WordPress hosting providers have this feature). GoDaddy managed WordPress hosting also has a flush cache option on the WordPress dashboard that will help you clear cache by the click of a button. Loading speed of your website is one thing that is going to affect your rankings. It is essential that we go for all the tried and tested methods to speed up. On a WordPress site, you can use these plugins given below to minify scripts on your site. Click here to learn more about how you can minify scripts using Autoptimize. Having a responsive website is a must if you want to rank on search results. As more of the traffic is moving to mobile and other portable devices, responsive websites will invite more traffic. Check your website for responsiveness on various screens. If you have a developer, ask him to ensure responsiveness for multiple devices. Most of the WordPress themes these days are responsive. So that makes your job a lot easier. Even then there will be minor tweaks to be done if you are using plugins like Slider Revolution for setting up sliders on your homepage. Internal links on your website will affect your rankings positively. It will pass on link equity from your pages that rank well to other pages within your website. It is always a good idea to link out to other posts within your blog. You can also use various anchor texts to the same content. Again, it is a better practice to insert links within a readable piece of content. We all know backlinks are important. At the same time, outbound links are important too. We can link out to other authoritative sites from content on our website. If you are publishing a new blog, you can link out to other authoritative content on the same topic. It is a better practice to give outbound links inside content with various anchor texts. While linking out, we must ensure the authority of the sites that we are linking to. If you aren’t really sure about the authority of a site, rel=nofollow tags should be used. Using nofollow tags will not pass link equity to the site you are linking out to. If you haven’t used a nofollow tag on a link, it will stay as dofollow. That means it is going to pass on link equity and affect the rankings of the target page. Normally we can manually edit the links in the code and add rel=nofollow tags on to the link. But this could be time-consuming and a little confusing if you have multiple links on a page. On WordPress, there is an easy way to add rel=nofollow tags to your outbound links. There is a plugin called Title and Nofollow for Links by Flector. I find this plugin super convenient as it adds a checkbox in the edit link window in the WordPress dashboard. You can check or uncheck this box depending on whether you want a link to be nofollow or dofollow. 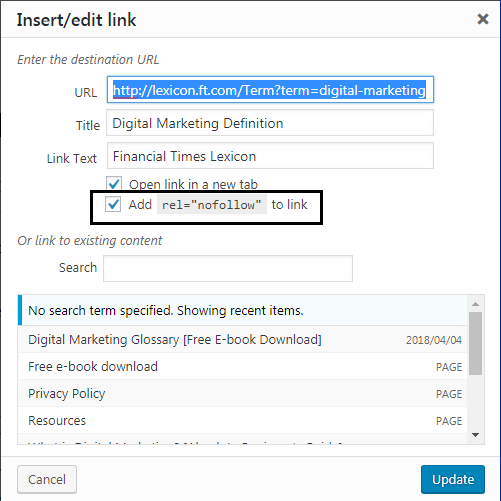 By checking the tick box, it automatically adds the rel=nofollow attribute to any link from your site. Previously people used to overly stuff keywords into their content to attain better rankings. But things are not that easy today, if you do keyword stuffing intensely on your web pages, you may end up getting penalized by Google. But again, it is good to have your keywords sprinkled over your content moderately. Placing your keyword within the first 100 words of your content affects your rankings positively. You have to write long and in-depth articles to rank well. There will be tonnes of 1000 words articles on a random topic on the web. But if you really want to stand out, you will have to do thorough research and come up with detailed articles. Blog posts and articles with more than 2000 words rank considerably well. But make sure you aren’t purposely stretching your content for length with irrelevant sections and text. The key is to write in-depth content that adds value to the readers. Apart from all the technical stuff, optimizing your content is a great way to drive traffic. Always give your blog posts a title that will attract readers. You can use words like free, review, easy, step by step, quick etc. to attract readers. Also, it is a good practice to use parentheses at the end of your title citing an additional benefit or value. The parentheses here at the end of the title convey exactly what the article contains and also add value to the reader. Another tactic is to use numbers at the beginning of the title. Adding numbers to your title makes it catchy and drives more traffic to your site. 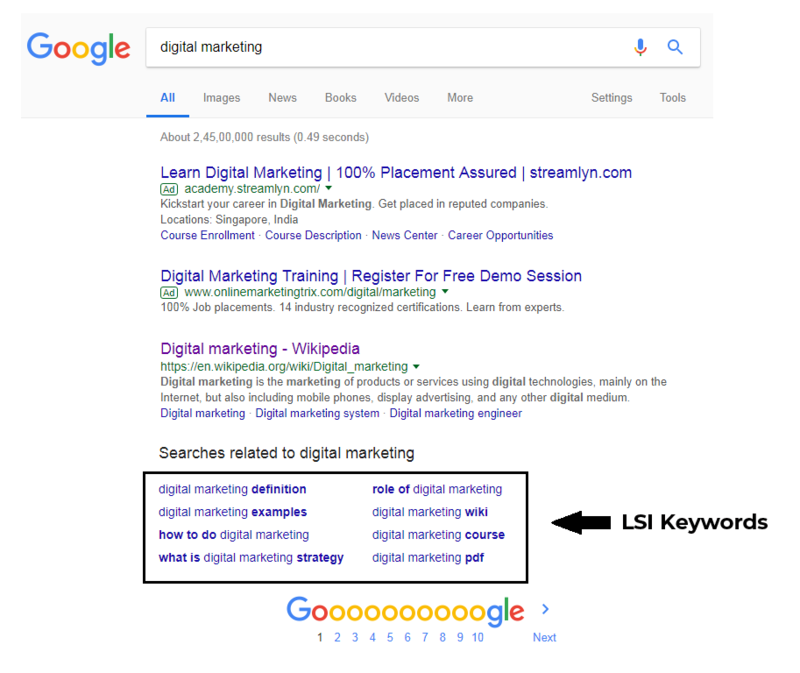 LSI stands for Latent Semantic Indexing. It is a mathematical method used to determine the relationship between terms and concepts in content. Let’s see how that helps us. You would have noticed a bunch of search terms shown at the bottom of the SERP (Search Engine Results Page) that are related to what you have searched. They are super valuable and if you add them moderately in your content that will affect your rankings positively. It is suggested that you compliment your main keyword with two LSI keywords. LSI keywords may also be used in your meta description to boost rankings. There are some great tools available on the web to help you identify LSI keywords. Check out these two tools below. This is the best strategy you can ever have. If you have quality content, people will keep coming back to you. That will lead to fewer bounce rates, increased dwell time, more page views and eventually better rankings. The uniqueness of your content is also a big factor. When you become a trusted source of information, you will see your rankings going up. This will help people to share your content on social media channels. Social media is a great way to reach more potential audience. On a WordPress site, adding social sharing buttons is no brainer. You can just install one of those social sharing plugins and enable it right away. Here are some of the free social sharing plugins. They will help you get it done. 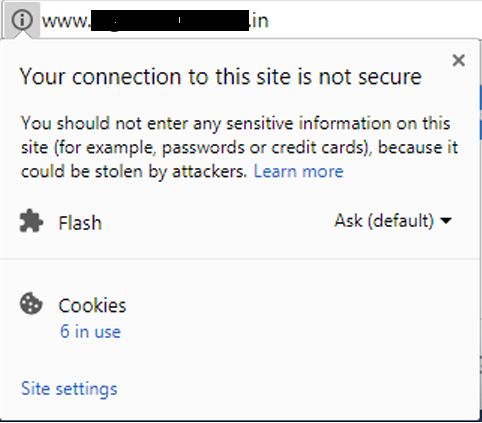 SSL stands for Secure Sockets Layer, it literally changes http into https, which is more secure. SSL certificates were used only for sites with payment gateways and transactions in the earlier days. But now Google has made it a parameter to decide rankings of websites. So you better have one on your website. 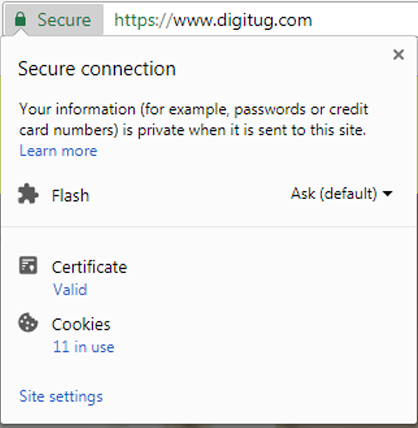 Browsers like chrome already show a warning saying ‘connection not secure’ on websites without an SSL certificate. This is how it looks without an SSL certificate. And with an SSL certificate, things will look much better. 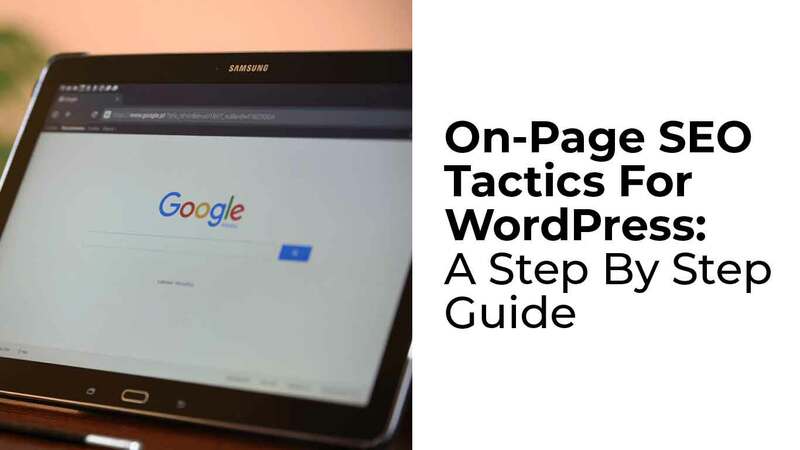 I think that covers all the ‘must-do’ on-page SEO tactics for your WordPress website. A perfectly optimized page is halfway through on its SEO journey. But the results are going to take time and you also need to publish more content consistently to gain rankings. Hope you find these tactics useful. Do you have any comments or feedback? Thank you Gopika. Hope you’ll find it useful. Surej, great content. Thank you! Since I’m pretty naive to search, could you explain me what WORDPRESS website is? Please? Hey Priyanka, glad that you liked this blog post. Basically, WordPress is a content management system. It will help us create websites with less coding knowledge. WordPress has a very user-friendly interface that will help us create and maintain websites using many plugins. You get a domain, hosting, install WordPress and you are ready to go. 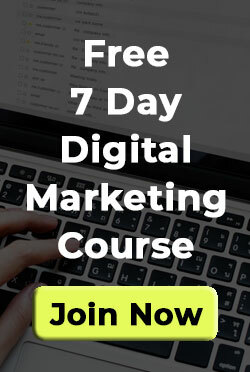 I would advise checking out this blog post: https://www.digitug.com/how-to-start-a-blog-to-earn-money/ for a better understanding. It has the step by step process in starting a blog and publishing content. Feel free to reach out if you need any more information.